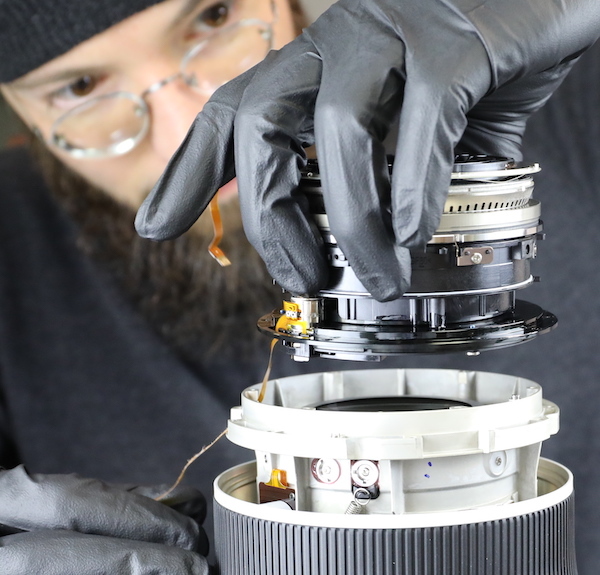 Roger Cicala and Aaron Closz of Lens Rentals tore down the Canon RF 50mm f/1.2L, the showcase lens for the new Canon EOS R system. […] the R lenses are not only entirely new optics, they are also largely new electrical and mechanical systems. There are a lot of different things in here that we haven’t seen in any Canon EF lenses. Some of them we should have expected, like the increased electronics going to the control ring. Others we don’t really understand yet, like the tension spring in the ring USM motor or the increased electrical shielding. […] We also saw lots of new stuff we don’t completely understand yet and a level of complexity we weren’t expecting. […] the RF lenses contain some new technology they [Canon, editor’s note] haven’t used before. There’s a lot of engineering that’s gone into these. Things are different inside here. 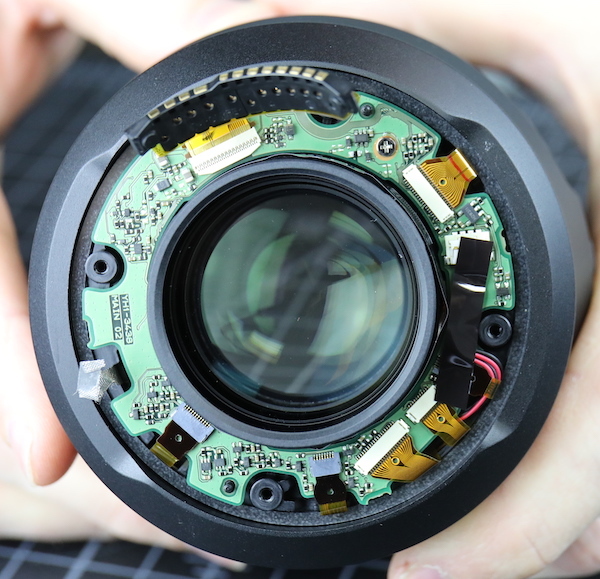 As we’ll see in the next teardown we do, some of that is carrying over to at least some EF lenses. What does this mean? It means Canon has invested very heavily into developing the lenses of the R system. This level of engineering didn’t all happen in the last year, they’ve been working on this for quite a while. 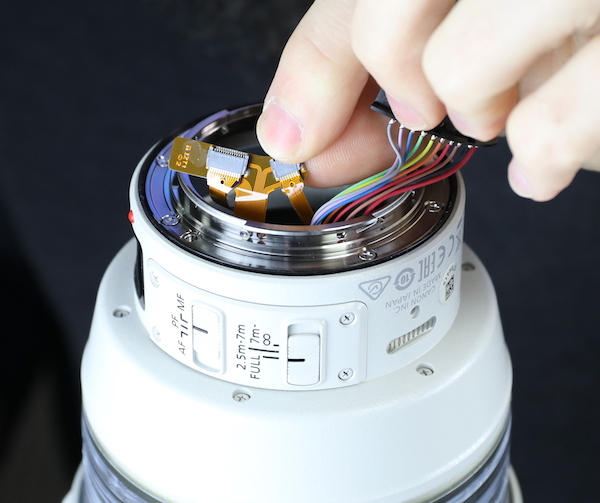 You can see a few images of the teardown below, though I recommend you head over to Lens Rentals for the many pictures and the step by step description of the teardown. Just don’t do it a home yourself. 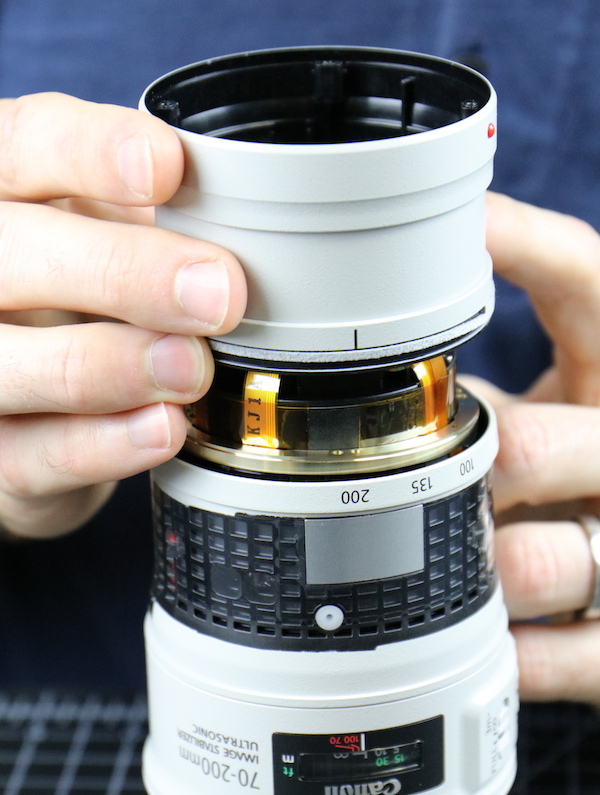 The Canon RF 50mm f/1.2L is a highly regarded lens, universally seen as one of the two lenses Canon made to showcase the possibilities of their new RF mount (the other one being the RF 28-70mm f/2L. All images © lensrentals.com, used with permission. 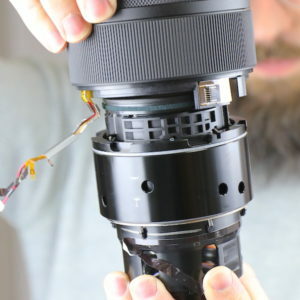 Roger Cicala of Lens Rentals tore down a Nikon Z7, and was very impressed with the build quality. Roger Cicala’s teardown is documented step by step with pictures and descriptions. 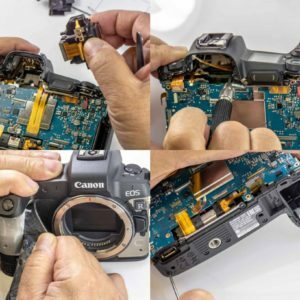 The teardown of the Canon EOS R is featured here. 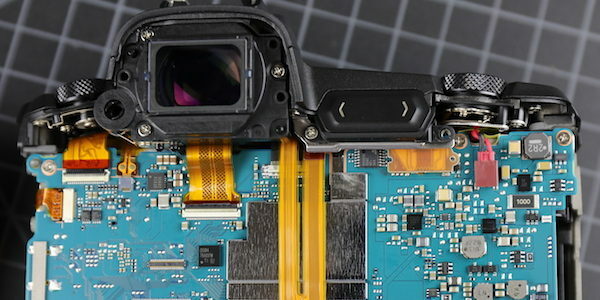 Another EOS R teardown is here. 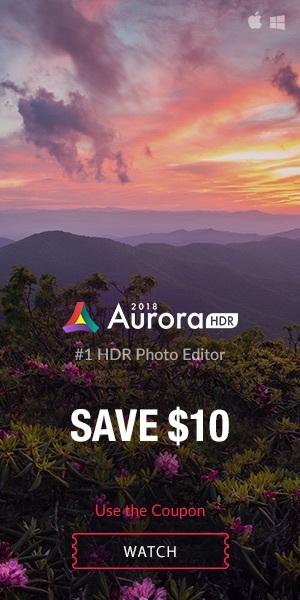 Nothing to argue here, the Nikon Z7 is the better buld camera. 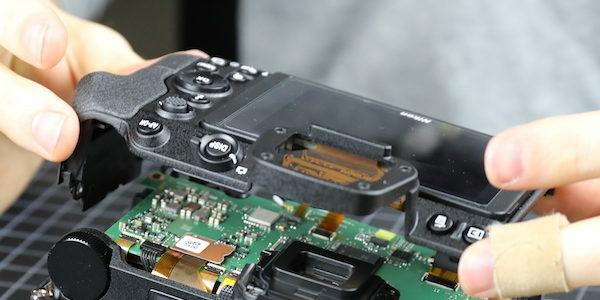 As Mr Cicala points out, the Nikon Z7 is the flagship camera in Nikon’s Z system. When Canon will release their flagship mirrorless full frame camera, we’ll see if the build quality holds up with the Z7. 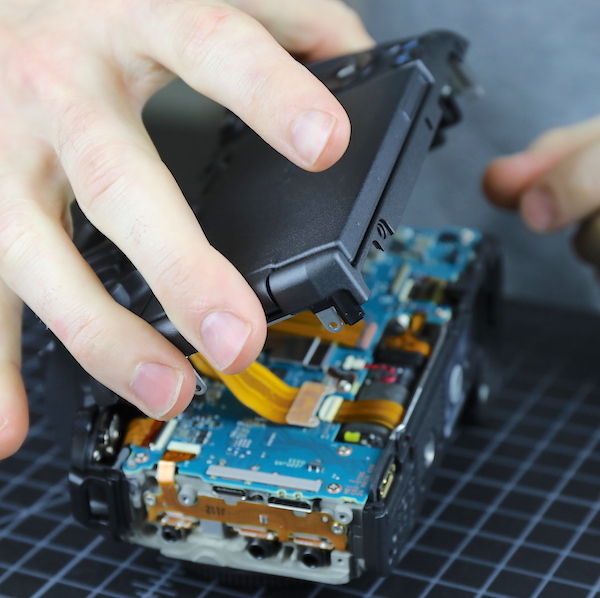 The folks at Kolari Vision disassembled the Canon EOS R.
[…] the slimmest sensor we’ve seen thus far in the mirrorless war. 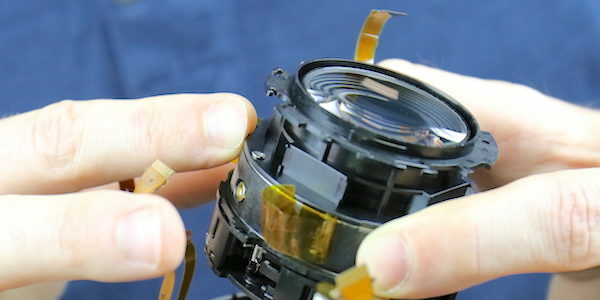 The absence of a shaker for IBIS keeps the sensor assembly very lean, but a lot of unused room remains in the camera. Whether this is necessary for heat dissipation or some other purpose is anybody’s guess. Canon doesn’t seem to care much for the idea of IBIS, but they could very well intend to add it in a later model. We won’t know until it happens. 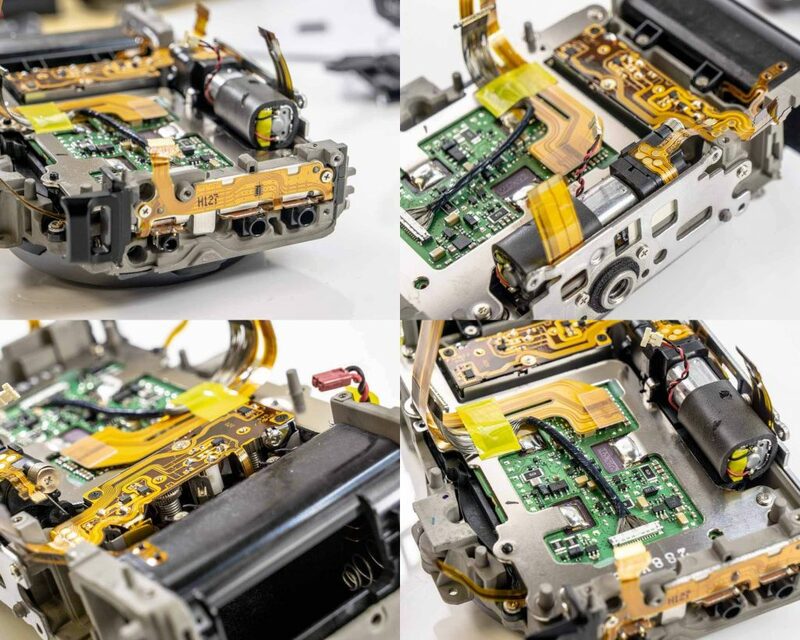 See the teardown at Kolari Vision. 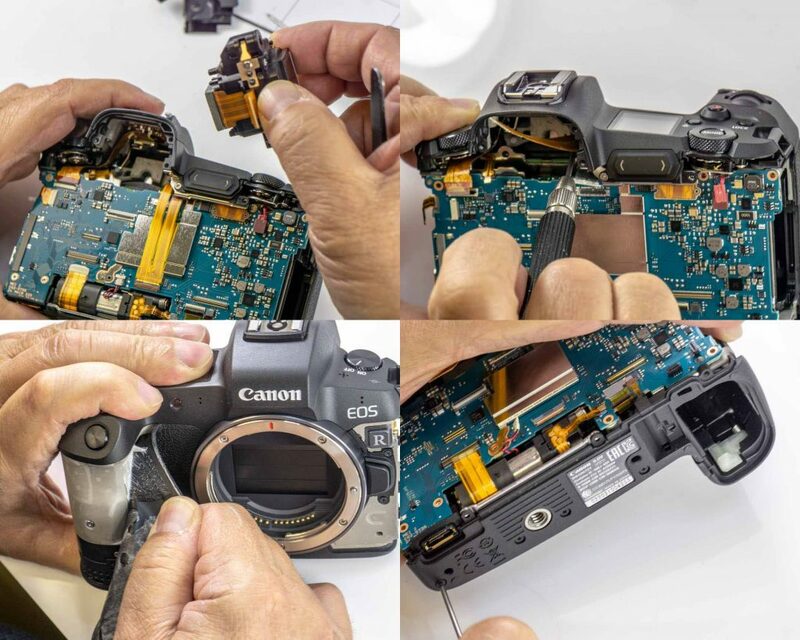 Another Canon EOS R teardown can be seen here. 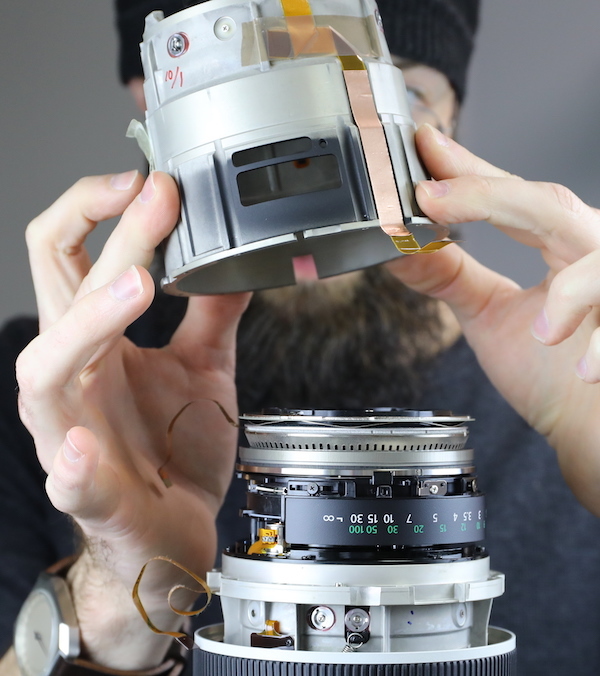 Roger Cicala of Lens Rentals tore apart another piece of photographic gear. 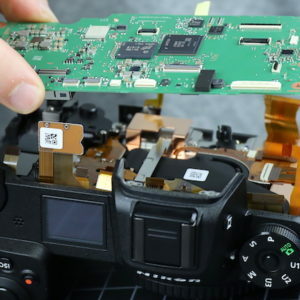 This time its the Canon EOS R’s turn to get disassembled. This view that I haven’t shown you yet, kind of illustrates that; there’s a pretty big gap between the circuit boards and the image sensor. 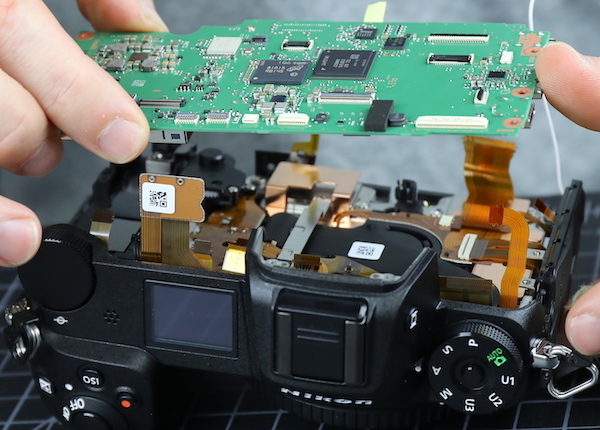 If you look back at the Sony A7R III teardown […] you’ll notice there’s not that much space inside; it’s taken up by the IBIS system which is big and thick. Canon has been very clear that they think lens stabilization is superior. The space [the ‘air inside’ mentioned above, editor’s note] is probably just a matter of ergonomics and perhaps heat diffusion. But there’s certainly room for it. 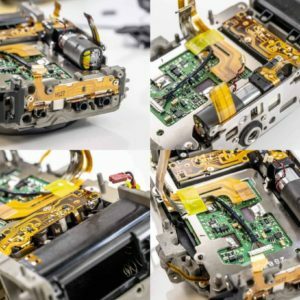 The Canon EOS R teardown comes with a huge set of images, documenting any stage of the disassembly process along with descriptions. 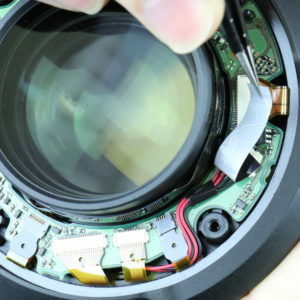 See the whole teardown at Lens Rentals Blog. 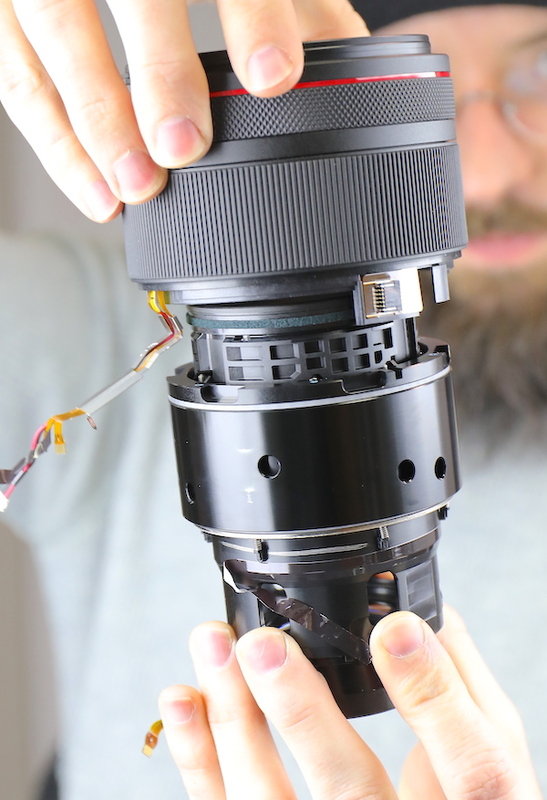 Roger Cicala of Lens Rentals posted a teardown of the new Canon EF 70-200mm f/4L IS II lens. Impressive images, and interesting findings too. […] this is, as we would expect, a very well built lens with robust roller bearings, large brass collars, heavy metal keys, and good weather sealing. [Lens Rentals has] some hints, and a lot of Roger speculation, about how Canon is getting lenses with such low variance. Here’s what we know: Canon has more optical adjustments than most lenses, not less. So while they may have tighter tolerances (I have no clue), the key seems to be more in a careful optical adjustment of compensating elements than anything else. It is clear that Canon is going with more, and more straightforward, adjustment of optics than the other manufacturers. Be sure to head over to Lens Rentals to see the many pictures of the teardown, and to get the findings. 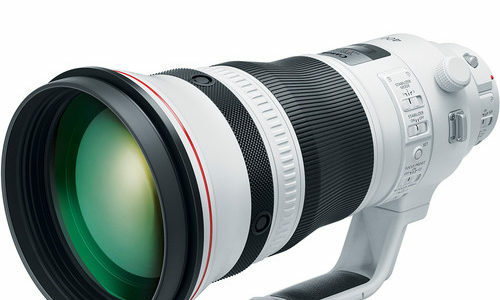 The Canon EF 70-200mm f/4L IS II is getting one positive review after the other. 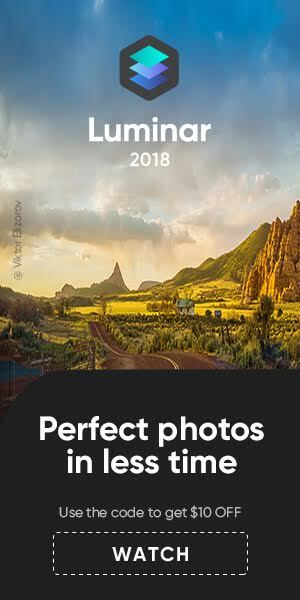 Canon clearly has another winner here. The Canon EF 70-200mm f/4L IS II is in stock at major retailers in the US, price is $1,299: B&H Photo | Adorama | Amazon.